I got some friends down the way"
I'll tear you limb from limb"
I said, "You know they refused Jesus, too"
He said, "You’re not Him." If convicted of these bizarre "administrative offenses," she is facing indefinite solitary confinement for the rest of her prison term (another 30 years). Chelsea is being denied medical treatment for her gender dysphoria, which experts have stated is the only course of treatment through which she would no longer be suicidal. 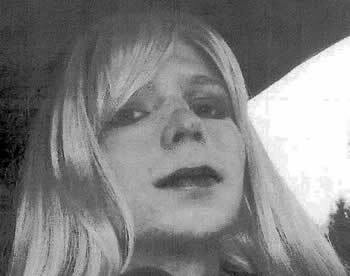 Punishing Chelsea Manning for attempting to take her own life after systemic mistreatment is inhumane. Drop these new charges, and immediately give Chelsea access to adequate health care.